What should basic estate planning include? Many Nevada residents do not need a complex estate plan in order to efficiently handle their estates and provide for their care in the event of incapacitation. However, that does not mean that it is not still important. Estate planning is not only for the person but for his or her family as well. Without an estate plan, Nevada law will determine who receives an individual’s assets upon death. If the person becomes incapacitated due to an illness or injury, family members will have to go to court in order to obtain the right to make financial and health care decisions on behalf of their loved one, which could waste precious time and resources. Furthermore, dealing with the hospitalization or loss of a loved one is difficult enough without the added pressure of having to guess what a family member would have wanted. Health care and financial powers of attorney appoint a trusted individual to act on an individual’s behalf if that person is unable to make decisions because of physical or mental health issues. 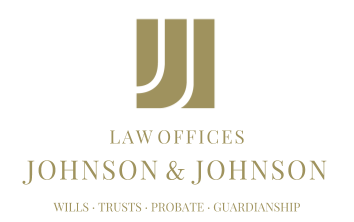 A will allows a person to determine who will receive his or her assets after death. Not only does this allow the individual to choose where assets will go, but it will also save family members from arguing about it in court. Estate planning might not be at the top of a Nevada resident’s list of things to do, but it should be. No one knows what the future holds, and having an estate plan could give family members peace of mind during an already trying time. Many people consider it their last gift to the loved ones they leave behind.